New manufacturing methods enable the designer of gears greater latitude in the design of strong alternative root forms. Gear root form is an important but often neglected element of the gear. The stress concentration point typically lies in the tooth-to-root transition area, and it is this point that determines the life or the fatigue life of a gear in many applications. Specific standards are in place on design of the involute part of a gear tooth. The root area, however, is less standardized. 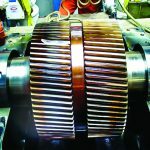 New manufacturing methods enable the designer of gears greater latitude in the design of strong alternative root forms. The standards on design and specification for the root geometry are lax, so these root forms fit into current standards. 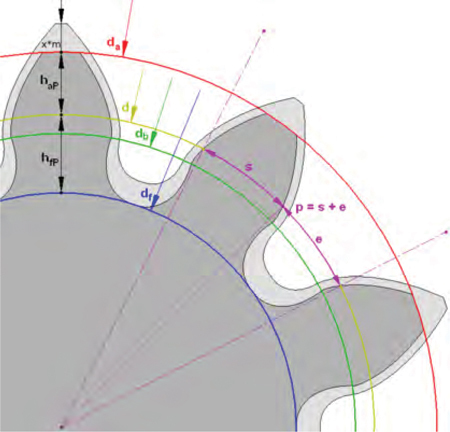 This article reviews the designs of various root forms for the gears. It compares the various root forms on basis of their strength, fatigue resistance and other parameters. This analysis will be based on compilation of various research previously conducted on gear root forms. 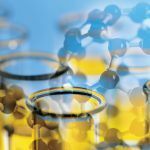 This article also discusses current manufacturing methods to produce the roots, and recently introduced alternatives. It will compare the traditional methods with new methods of gear manufacturing it terms of types of roots produced and overall control over the root profile. • Stub tooth: A flat bottom (or very large radius approximating a flat) with radii blending the flat with each flank at points of tangency (see Figure 1). 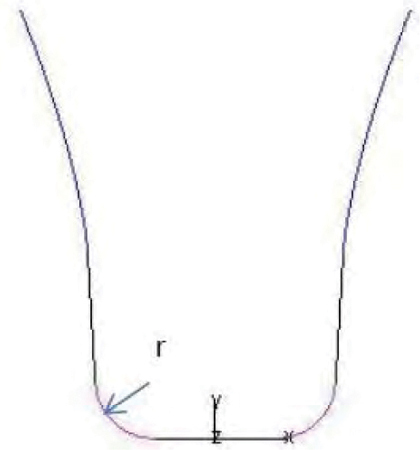 • Full root radius/Circular radius: This uses two radiuses at the end of each flank connected by a radius or a curve of constant radius terminating at points of tangency with each flank (see Figure 2). • Trochoidal root profile: This is a smooth curve generated by the hobbing process and is a complex curve of variable radius, which terminates at points of tangency with each flank. As it is a byproduct of the generation process, its form is typically undefined. 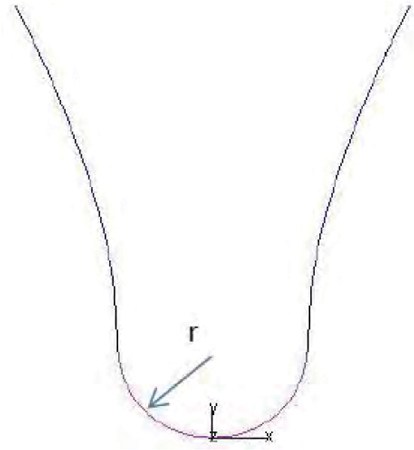 However, the section of least radius can be expected in close proximity to the termination of the flank (see Figure 3). Out of these, trochoidal curve is the most commonly used as it is generated by a hob. By giving different tip radii to the hob, different tooth profiles can be generated, but the number of teeth and the profile shift factor (especially for small number of teeth) also influences the form. 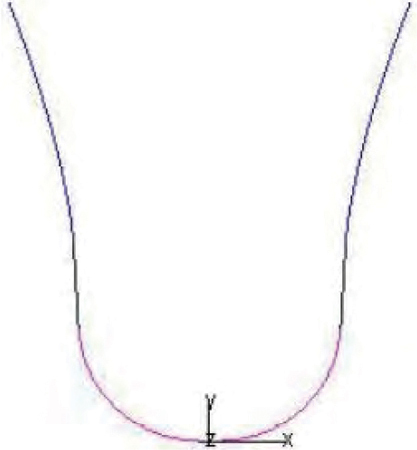 As explained by Kapelevich , the larger the tip radius, the lesser is the bending stress in the root. Lesser bending stresses in the root are very important. Reduced bending stress implies that a specific gear will be able to carry higher load. This may allow the specification of a reduced module. 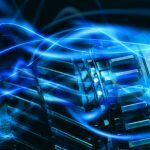 If designers can use a lower module gear instead of a larger one, it would mean higher transfer efficiency, reduced noise, and vibration and cost savings. If the designers keep the module of the gear the same but reduce the bending stresses, it would mean longer lifetime and higher factor of safety. 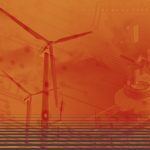 Considering the widespread application of gears for motion and power transfer, the increased efficiency would amount to significant energy and cost savings. 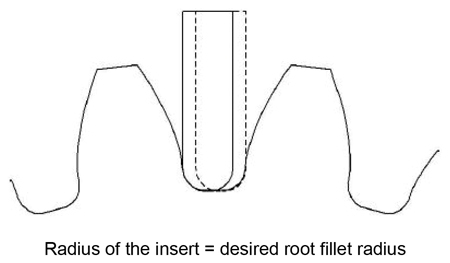 “A Study of Stresses in Circular vs. Trochoidal Roots” (Sankar ) proved that there is appreciable reduction in bending stress value for circular root fillet design in comparison to that of bending stress value in trochoidal root fillet design. 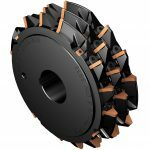 The research also found that the circular fillet design is better for lesser number of teeth in pinion and trochoidal fillet design is more suitable for higher number of teeth in gear. Circular fillet design gears will give better strength, reduce bending stress, and also improve the fatigue life of gear. “A Study of Stresses in Gears Manufactured With Full Tip Radius Hobs” was conducted by Aziz El Sayed . 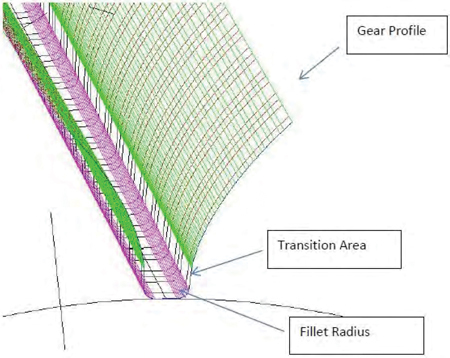 A Stress Strength Interference (SSI) theory as a probabilistic design tool was applied to examine the influence of root fillet contour on the gear strength for four gears sets with different fillet profiles. 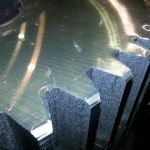 Of the root forms generated by hobbing, the fillet generated by the full tip radius hob has the lowest maximum bending stress, which is uniformly distributed along the large portion of the fillet profile. “A Study of Different Gear Damage Modes” states that there are three main types of gear damages: pitting and wear of tooth flanks, concentration of stress, and cracks at the tooth root . ISO and AGMA standards describe procedures for approximate calculations of stresses at tooth root of the involute gearings . All the standards assume that the maximum stresses appear at the critical section of the tooth and hence tooth root strength is dependent on stress concentration at the root. Tooth breakage due to operating stress that significantly exceeds the max allowable stress in gear transmission can be extremely dangerous in auto, aero or space industries. • Tooth root is one of the primary reasons for gear failures because it has highest stress concentration. • The root strength can be improved by using a circular fillet design or optimized fillet design. Hobbing cannot produce a circular fillet root or optimized root but a full tip radius hob will come closest. 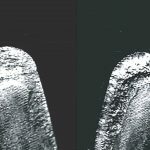 • Though the root area is very critical, modern standards do not define the fillet profile accuracy. 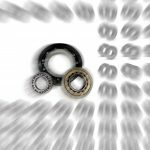 The gear industry uses several different standards of which the main ones are the DIN, ISO and AGMA standards. These standards describe nomenclature, tooling and the gears. ISO 701:1998 describes gear notation symbols; ANSI/AGMA 1012-G05 describes gear nomenclature. ANSI/AGMA 1102-A03 and DIN 8000:1962 are standards for gear hobs. DIN 3972:1952 and ISO 53:1998 both define the basic rack of hobs. AGMA 933-B03 describes basic gear geometry and AGMA 913-A98 describes a method of how to define the geometry of spur and helical gears. These standards put most of the emphasis on the involute part of the gear. AGMA 933-B03 for example describes the involute and the corresponding concepts such as pitch circle, pressure angle, line of action etcetera in detail but do not mention or define the root area of the gear. The concentration on the involute part is understandable since this is the area where the gears mate and geometries need to be uniquely and completely defined as for the gears to run smoothly. The root area of a gear influences two things; it needs to be designed to give clearance to the mating gear teeth and it needs to be designed so that the bending strength of the gear is big enough to avoid premature failure by fatigue. Hence the geometrical requirements are less stringent than in the involute portion. This is reflected in the standards and in most gear drawings. Gear drawings generally specify only a minimum radius in the root area. Furthermore gear inspection is usually done only in the involute area and the typical gear inspection report does not show the root. The root area being quite unspecified and unstandardized means that it can be designed with great freedom. Increasing the size of the radius, which, in turn, increases resistance to fatigue failure in bending is possible without affecting other functions of the gear and without changing the gear drawing or standard. While this freedom in design allows the specification of stronger roots and the enabling manufacturing processes, it also allows errors in the specifications. It would be desirable to create specifications of best practice for specification of highly loaded roots. Gear manufacturing using generation has limitations when it comes to the root area. The root area is generated by the tip of the hob. The involute and root form depends on the hob tip radius, number of teeth and the profile shift coefficient (x), see AGMA 913- A98. Once a hob is manufactured, the hob tip radius is fixed. A hob can manufacture gears of a single module and varying number of teeth and the tooth root radius produced by the same hob will be different for different number of teeth. A gear with smaller teeth runs the risk of having undercut at the root while a gear with larger number of teeth will have a sharper radius at the root. When the number of teeth increases, the gear form approaches the form of the basic rack of the hob. Roots generated with a hob results in a trochoidal form that depending on the mentioned factors can look very much like a radius. The root geometry of the gear is also affected by the profile shift (see Figure 4). In Figure 4, the light grey gear has a higher profile shift than the dark grey. As seen in the picture, when the profile shift increases the root radius gets smaller. Minimum is reached for a profile shift coefficient of x = 1. The minimum radius occurs around profile shift coefficient X = 1. Hence a gear with a profile shift of one and many teeth will have a much sharper root than a gear with fewer teeth and a smaller profile shift coefficient. Since bending strength is improved with smaller DP’s such a pinion will have few teeth. From a designer’s point of view, if a small pinion is used with a large gear it is possible to improve the bending strength of the pinion by combing different profile shifts of the pinion and gear in order to avoid undercut on the pinion. However if two pinions both with equally few teeth are required to be used, this adjustment is not possible, the undercut will be large and hence the bending strength will be compromised. In the opposite case, for a gear with many teeth, the root area will approach the shape of the basic rack of the hob. In the case of a hob made according to the standard (R=0.3/P) a gear with many teeth will result in a sharp radius meaning higher stress concentration. 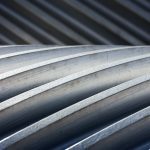 There are some publications with guidelines on how to optimize the gear with respect to bending strength and pitting AGMA 901-A92, AGMA 908-B89. Both these operates under the limits defined by gear generation by hobbing. In this gear used as example the full round rack tip is shown to decrease stress in the gear by 9% with respect to a reference gear being manufactured with standard AGMA rack profile tip radius equal R = 0.3/P. They show that with further optimization it is possible to decrease the stress by 21.4% with respect to the reference gear. A root consisting of a simple circular radius is shown to decrease stress by 12% with respect to the reference gear. Neither the optimized form nor the circular root radius can be generated with a hob, since the hob is generating a trochoidal form. The possibility of manufacturing the root independently of number of teeth and profile shift is interesting for both highly loaded pinions as well as gears with a large number of teeth. New manufacturing methods permits production of stronger root forms The major hurdle in application of these better and more efficient root forms is a cost effective way to manufacture these root forms. 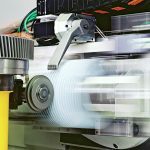 In the last couple of years with the increased capability of multi-tasking machines and development of appropriate software, new manufacturing methods for machining of gears have become possible. These methods allow user a better control over the root geometries and possibility to cost effectively machine optimized root geometries for the gears. There are two such methods that have been applied on multi-tasking machines. 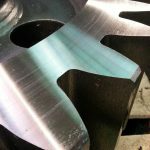 Invomilling® is a method that uses a disc style cutter to machine the involute portion of the gear on a multi-tasking machine. In this method, the root is machined using either an end mill or a disk cutter. By separating the root machining and involute profile machining, it is possible to manufacture the root without harmful undercut or small radius. The root can be designed with greater freedom. The root can be machined with a standard ball or bull nose end mill with desired radius, or using a disc cutter with inserts having the appropriate radius. Additionally a tangent pass can be programmed to blend the Start of Active Profile (SAP) and the radius machined by the ball end mill. The methods are depicted in Figure 5 and Figure 6. Method 1 is the machining of the root using ball end mills. Method 2 is the maintaining of the root using a disc styled cutter. The circular root is slightly better than the root generated with a hob with full round tips. This means that cutting the root with a ball end bill or a disk cutter with circular radius insert is both an economical and strong alternative. See Figure 1 through Figure 3 for examples of root geometries. Similarly gears can be considered as five axis parts having a number of slots and can be machined using ball end mills or standard end mills as five axis parts (see Figure 7). The cycle time required for this machining can be reduced by using disc style cutters for roughing out the parts. It also gives ultimate flexibility in terms of what a root can be and ensures the blend between the root geometry and gear profile. The methods permit designers to design and manufacture root geometries that can improve the tooth root strength of gears. The methods are easy to use and adhere to standards. 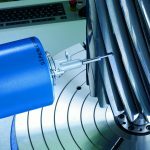 The tools are typically stocked standards with attractive pricing, enabling a reduction in the cost of consumable tooling per gear. 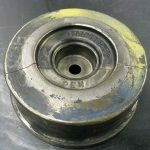 The tooling used with these methods is solid carbide or inserted carbide tooling. This type of tooling has predictable tool wear which can be controlled. Hence it is possible to get better part to part variation in the manufacturing process. Research shows that gear root is a very important part of the gear because it has the highest stress concentration. Strength of the gear root can be improved by using circular fillet designs or optimized fillet designs. Existing gear manufacturing methods offer limited control over design of the root geometry. Existing standards permit give designers freedom to implement the circular and optimized fillet designs. New manufacturing methods use different tooling and machining processes for machining of root and machining of involute profile. This will allow for machining of these desired root geometries. While existing standards permit great latitude in specification of the root, it would be desirable for new standards to be created which specify best practice in design of the root. 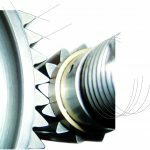 All these geometry based machining techniques are commonly available in the machining/multitasking world and provide the customers and designers additional capability to control the root form and its accuracy. Better control of root forms means choices to make better and stronger gears which will have higher life and load carrying capacity or better efficiency and cost savings. 1. Kapelevich A., and Shekhtman Y., Tooth Fillet Profile Optimization for Gears with Symmetric and Asymmetric Teeth, 08FTM06. 2. Sankar S., Sundar Raj M., Nataraj M., Profile Modification for Increasing the Tooth Strength in Spur Gear Using CAD, Journal of Scientific Research, Engineering, 2010, pp 740-749. 4. Kawalec A., and Wiktor J., Tooth-root stress calculation of internal spur gears, Proceedings of the Institution of Mechanical Engineers, Part B: Journal of Engineering Manufacture 2004, vol. 218: pp.1153 -1166. 5. Kawalec A., Wiktor J., and Ceglarek D., Comparative analysis of tooth-root strength using ISO and AGMA standards in spur and with FEM-based verification 2006. 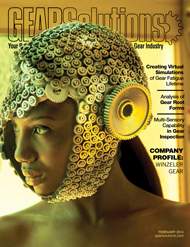 Journal of Mechanical Design, September 2006, vol. 128, pp.1142-1158. *Printed with permission of the copyright holder, the American Gear Manufacturers Association, 1001 N. Fairfax Street, Suite 500, Alexandria, Virginia 22314. 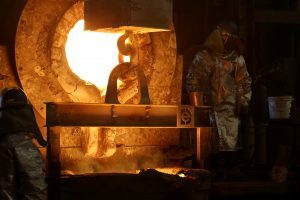 Statements presented in this paper are those of the authors and may not represent the position or opinion of the AMERICAN GEAR MANUFACTURERS ASSOCIATION. is Senior VP & CTO, DMG Mori/Seiki USA. At DMG Mori, he focuses on development of next generation innovative solutions for solving systemic problems in the market. He has over 45 patents, many of which have been commercialized. He has been a distinguished speaker at numerous industry events. His most recent work includes development of an additive-subtractive machine for rapid prototyping of metal parts. works for Sandvik Coromant within product development of tools for gear manufacturing. He is the technical project manager for InvoMilling.